Luke 2:1-20 In those days a decree went out from Emperor Augustus that all the world should be registered. 2 This was the first registration and was taken while Quirinius was governor of Syria. 3 All went to their own towns to be registered. 4 Joseph also went from the town of Nazareth in Galilee to Judea, to the city of David called Bethlehem, because he was descended from the house and family of David. 5 He went to be registered with Mary, to whom he was engaged and who was expecting a child. 6 While they were there, the time came for her to deliver her child. 7 And she gave birth to her firstborn son and wrapped him in bands of cloth, and laid him in a manger, because there was no place for them in the inn. 8 In that region there were shepherds living in the fields, keeping watch over their flock by night. 9 Then an angel of the Lord stood before them, and the glory of the Lord shone around them, and they were terrified. 10 But the angel said to them, “Do not be afraid; for see—I am bringing you good news of great joy for all the people: 11 to you is born this day in the city of David a Savior, who is the Messiah, the Lord. 12 This will be a sign for you: you will find a child wrapped in bands of cloth and lying in a manger.” 13 And suddenly there was with the angel a multitude of the heavenly host, praising God and saying, 14 “Glory to God in the highest heaven, and on earth peace among those whom he favors!” 15 When the angels had left them and gone into heaven, the shepherds said to one another, “Let us go now to Bethlehem and see this thing that has taken place, which the Lord has made known to us.” 16 So they went with haste and found Mary and Joseph, and the child lying in the manger. 17 When they saw this, they made known what had been told them about this child; 18 and all who heard it were amazed at what the shepherds told them. 19 But Mary treasured all these words and pondered them in her heart. 20 The shepherds returned, glorifying and praising God for all they had heard and seen, as it had been told them. “It’s the story of a nine-year-old boy named Wally. Wally was larger and slower than the other kids. All the kids liked him because he had a gentle heart and looked out for the smaller kids on the playground. Christmas was coming, and the children were preparing to act out the Nativity story. The teacher cast Wally in the role of the innkeeper because he would only have to remember one line. All Wally had to do was stand at the inn door and say, “No room. Go away.” Christmas Eve came and the play was going well. The shepherds didn’t trip on their bathrobes, and the wise men didn’t lose their gifts. The angels were managing to keep their wings attached and their halos in place. Mary and Joseph arrived at the inn and knocked on the door. Wally’s story inspires a bit of wondering, kind of like that television show, “What Would You Do?” What would we do as the innkeeper? He is sometimes imagined as an over-worked, short-tempered guy who snarls at the holy family. Other times he is depicted as humble and hospitable, offering the holy family what he has to offer. Regardless of tone, the end is the same. There is no room. But then there’s sort of a room…out in the back with the animals. The question of Jesus and roominess has been on my mind about this Bible reading. Whether or not we cotton to the idea of an innkeeper – it’s fairly easy to become sentimental about Bethlehem. There are times for sentiment. Give me a candle, a dimmed sanctuary, start singing Silent Night and watch out. All I’m saying is that there may be room for more than sentiment in this beautiful, 2,000 year old story. In the Bible story, there is political unrest, a registration is ordered by Emperor Augustus while Syria is governed by Quirinius. The Emperor’s order results in a massive migration of people that uproots the holy family and sends them to Bethlehem where Jesus is born and laid in a manger because there was no room in the inn. No room. Full. This makes me wonder about room for Jesus in our lives and in our world today. Room in the schedule. Room in the mind. Room in the heart. Room for compassion in the face of suffering. Room for Mary’s vision of God scattering the proud, casting the powerful from their thrones, and feeding the hungry. Room for the glory of God. Room for the peace proclaimed by the angel and the heavenly host. Room for peace between nations, for peace between peoples. Roominess may be as much in short supply in our time as in the holy family’s time. Luke uses the word “room,” the Greek word kataluma. This same word translated as “room” in Luke chapter 2 is translated as “upper room” in Luke chapter 22, describing the place where Jesus shares the Last Supper with the disciples at Passover. Shares the meal that prefigures the meal we share in Holy Communion today. You see, while we like to imagine ourselves as the innkeeper, as a gatekeeper of sorts, Jesus arrives uninvited. We can say, “No room, go away.” We can even be prompted by the people around us to say, “No room, go away.” We can point away from ourselves to an outlying manger that is removed from our everyday lives. We can think ourselves tucked into secure space away from a meddling God. Here’s the good news. Jesus is born anyway. Jesus, Emmanuel “God with Us,” arrives on the scene. Jesus arrives in our world, our demented inn, as “a Savior who is the Messiah.” Arriving in “mean estate,” of lowly birth and social class, God slips into skin and vulnerability. With his fragile humanity, Jesus pursues a relentless ministry of love and life at the cost of his own. Celebrating Jesus’ birth, we remind each other of God’s promise to come to us whether or not we think there’s room, of God’s promise to come to us uninvited through no virtuous merit or roominess of our own. We remind each other that God is born as this child, Christ the King, whom shepherds guard and angels sing; as this child, the Word made flesh, the babe, the son of Mary. Thanks be to God and Amen. James Harnish. When God Comes Down. (Nashville: Abingdon Press, 2012), 37. Marty Haugen. “Litany and Prayers” in Holden Evening Prayer. (Illinois: GIA Publications, 1986), 10. Harnish, 35, from A Thomas Merton Reader, edited by Thomas P. McDonnell (Doubleday, 1974), 365 and 367. Hymn fragments from “What Child is This,” #296 in Evangelical Book of Worship. (Minneapolis: Augsburg, 2006). Matthew 1:18-25 Now the birth of Jesus the Messiah took place in this way. When his mother Mary had been engaged to Joseph, but before they lived together, she was found to be with child from the Holy Spirit. 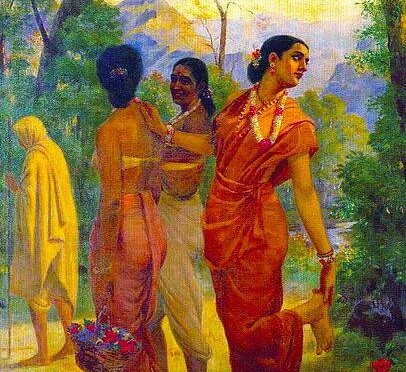 19 Her husband Joseph, being a righteous man and unwilling to expose her to public disgrace, planned to dismiss her quietly. 20 But just when he had resolved to do this, an angel of the Lord appeared to him in a dream and said, “Joseph, son of David, do not be afraid to take Mary as your wife, for the child conceived in her is from the Holy Spirit. 21 She will bear a son, and you are to name him Jesus, for he will save his people from their sins.” 22 All this took place to fulfill what had been spoken by the Lord through the prophet: 23 “Look, the virgin shall conceive and bear a son, and they shall name him Emmanuel,” which means, “God is with us.” 24 When Joseph awoke from sleep, he did as the angel of the Lord commanded him; he took her as his wife, 25 but had no marital relations with her until she had borne a son; and he named him Jesus. I listen to a lot of people talk about their lives. While listening, I’m often struck by the magnitude of what someone says and the quiet, matter-of-fact way the story is shared. There’s the older gentleman in the seat next to mine on the airplane. The pilot was navigating around thunderstorms. The plane was shaking. I’m sure I was pale and looking worried. The gentleman next to me asked me if I was nervous. (I thought to myself, “Hah! Are you kidding me? !”) “Yes,” is what I said. He told me that he doesn’t get nervous in planes because it doesn’t get worse than being shot down in the Pacific during World War II and waiting days in the water to get picked up. The story was longer than that, of course. He told me bits and pieces, regaling in calm tones and stark detail. It had the quality of a story told many times. I could picture it without feeling a need to take care of him while he talked. He was open to curiosity and questions. His gift was one of distraction from my turbulence terror while he calmly shared his past. The gentleman’s story, while unique in detail, is common in quality. How many of us get used to telling our strange tales that have become normal in our own lives but surprise other people in the telling. Jesus’ birth story is along this line for Christians. We tell a really strange tale, my friends. We celebrate it in sacred scripture. We sing about it. We pop it up in our homes. I confess I have several such home scenes myself. Joseph, Mary, and the baby Jesus surrounded by various configurations of animals, angels, shepherds, and magi. Wood, porcelain, and pottery that is carved, poured, and molded. Dioramas of faith that proliferate across the land and in my home. The angel, the Lord’s messenger, shows up thwarting Joseph’s justified resolve. I hate when that happens. When a good resolve swirls down the drain. Resolve feels good. It feels right. It is powerful, knowing what to do. Powerlessness? Not so much. And definitely not in the way a good resolve feels. Here’s a clue to part of the good news today. If there’s room for Joseph in the nativity story, then there is room for me, and there is room for you. There’s room for us in the Nativity story because Joseph is asked simply to stay and watch the story unfold. Oddly enough, he asks no questions of the angel in his dream and he’s given no understandable explanation. 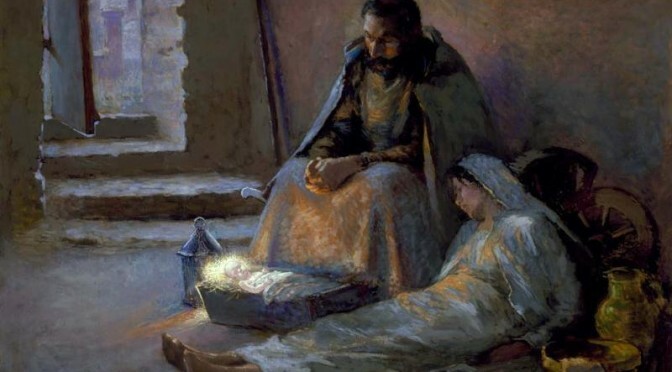 In essence, Joseph is told to take Mary as his wife and to name the baby conceived by the Holy Spirit, “Jesus.” That’s not a lot of information. In fact, it doesn’t amount to any information he can share with his friends as justification for staying with Mary, especially in light of the vague paternity. And, still, he obeys the angel. He obeys without any knowledge of what this will mean. Just around the corner, what he can’t see is the visit from the magi. Those strange people from a faraway place who come to visit Jesus after he is born. He can’t see the magi’s decision to thwart King Herod. He can’t see King Herod’s edict to slaughter all the infant children less than two years old because they may or may not be the rumored Messiah. He can’t see his and Mary’s escape and refuge in Egypt. There’s so much that Joseph can’t see when he agrees to take Mary as his wife and name the baby Jesus. Joseph is obedient without an “i” dotted or “t” crossed. Some of us see ourselves in Joseph because, like him, our proudest self-agency is also taken away from us. We do not save ourselves. The name “Jesus” means “God saves” or “the Lord saves.” He will be born and named Jesus “for he will save his people from their sins.” Week-after-week we scratch the surface of what this means for us. Some of us wonder about intellectual problems raised by scripture that don’t jive with our experience or knowledge. Some of us struggle with the mystery and want it solved so that then we could have faith. Some of us are drawn to action on behalf of people who need help but don’t know where to start or how to keep going. For all of us in those moments, Joseph is our guy. In light of Joseph’s lack of information, his obedience to the angel’s wild request is shocking, confusing, and disturbing. If we let it, our familiarity with Jesus’ birth story means that our quiet, matter-of-fact way of telling it can oversimplify what God is doing all around us. 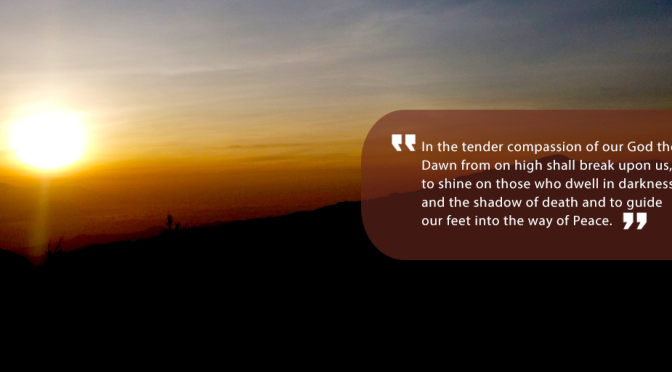 God’s audacity in slipping into powerless, vulnerable skin is echoed by Joseph’s powerless, vulnerability as well as our own – the breadth of divine power revealed in the depth of divine, self-giving love. Like Joseph, we spend the rest of our lives figuring out what it means to follow Jesus. Like Joseph, we watch, wait, and wonder as Emmanuel, God with us, shows up and saves. Thanks be to God. James Harnish. When God Comes Down. (Nashville: Abingdon Press, 2012), 20. Way back in Genesis, in the beginning of the Bible, the ancient writers describe a time before Earth-time. There is a dark, formless void that no one is quite sure about. Creation stories form out of that void as God speaks and God creates, “In the beginning…” In the Bible reading this Christmas Day, the gospel writer of John takes us way back to that beginning. “In the beginning was the Word, and the Word was with God, and the Word was God.” Word and God, before time and in the beginning of time. In the beginning, something happened that broke the relationship God created. After plenty of millennia in which the world has struggled and continues to struggle through today, I’ve grown comfortable with calling whatever is broken “sin.” Sin helps me name the struggle within myself. You might use the language of flaw or weakness or challenge. I’m pretty good with the language of sin. It’s a word that digs deep and reveals much that is true in my own life. Sin separates, hurts, and blocks me from seeing the good in me or anyone else, including God. Sin has me justifying my actions and thoughts over and against anyone else, including God. What does God to do restore the broken relationship with humankind that came through sin so soon after creation? What does God do to free us from our sin that divides and destroys? God needs to communicate with us on our own terms. Communicating in a way that is suited to the human condition. Thankfully, over and against my sin, is a Word from God. A Word that brings life into being. A Word that communicates and gives life. A Word that forms, reforms and restores relationships. A Word made flesh. A fleshy Word that the Gospel of Luke tells us is a baby in a manger announced by angels and surrounded by his young parents, shepherds, and animals. A baby whom Mary is told will be called Son of God. A baby named Jesus. A baby named Jesus, Son of God, a fleshy Word who is the light of all people. Listening to the many layers of the Christmas story, and the Gospel of John’s prologue in particular, is like hearing many notes all at once in a musical chord. Like a complex chord, the effect moves through head and heart at the same time as we are moved through Genesis and John, through time and space, through light and dark, through Word and flesh, through God and Jesus by the power of the Holy Spirit. Incarnation of the Word into flesh becomes God’s way of communicating with us in a manner suited to our human condition. Incarnation is the length to which God will go to get through to us. We are sensate creatures – we see, we touch, we hear. So God calls through the cry from a manger and the groans from a cross. In the story of Jesus that follows his birth, God communicates in Jesus’ actions and also in his words. Jesus enacts life-giving power. God’s radical, subversive action in terms we can grasp. Christmas is the beginning of God coming to all people – expanding the eternal covenant made long ago through an ancient people. In that time, God spoke to the ancestors in many and various ways by the prophets. Now God is speaking to us through the Word made flesh, Jesus the Son of God. Through Jesus, the Son of God, the Holy Spirit makes us children of God. The adoption process of God’s wayward, sinful creatures begins in the beginning and arcs through the incarnation, the Word made flesh. Jesus’ life, death, and resurrection frees us from sin. Set free from the business of justifying our actions and thoughts over and against anyone else, or against God. This Christmas, for you is the gift of Jesus, Son of God, a fleshy Word who is the light of all people. You are “children of God born, not of blood or of the will of the flesh or of the will of man, but of God…And the Word became flesh and lived among us, and we have seen his glory, the glory of the Father’s only Son, full of grace and truth.” Merry Christmas! Luke 1:30-31 The angel said to her, ‘Do not be afraid, Mary, for you have found favor with God. 31And now, you will conceive in your womb and bear a son, and you will name him Jesus. Hebrews 1:1-2 Long ago God spoke to our ancestors in many and various ways by the prophets, 2but in these last days he has spoken to us by a Son, whom he appointed heir of all things, through whom he also created the worlds. Hebrews 1:1-12 Long ago God spoke to our ancestors in many and various ways by the prophets, 2 but in these last days he has spoken to us by a Son, whom he appointed heir of all things, through whom he also created the worlds. 3 He is the reflection of God’s glory and the exact imprint of God’s very being, and he sustains all things by his powerful word. When he had made purification for sins, he sat down at the right hand of the Majesty on high, 4 having become as much superior to angels as the name he has inherited is more excellent than theirs. Luke 2:39-56 In those days Mary set out and went with haste to a Judean town in the hill country, 40 where she entered the house of Zechariah and greeted Elizabeth. 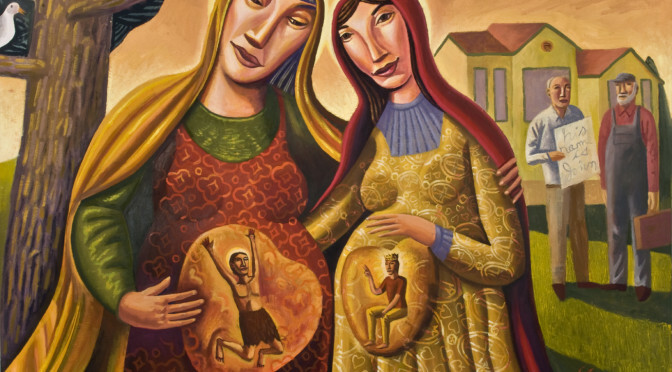 41 When Elizabeth heard Mary’s greeting, the child leaped in her womb. And Elizabeth was filled with the Holy Spirit 42 and exclaimed with a loud cry, “Blessed are you among women, and blessed is the fruit of your womb. 43 And why has this happened to me, that the mother of my Lord comes to me? 44 For as soon as I heard the sound of your greeting, the child in my womb leaped for joy. 45 And blessed is she who believed that there would be a fulfillment of what was spoken to her by the Lord.” 46 And Mary said, “My soul magnifies the Lord, 47 and my spirit rejoices in God my Savior, 48 for he has looked with favor on the lowliness of his servant. Surely, from now on all generations will call me blessed; 49 for the Mighty One has done great things for me, and holy is his name. 50 His mercy is for those who fear him from generation to generation. 51 He has shown strength with his arm; he has scattered the proud in the thoughts of their hearts. 52 He has brought down the powerful from their thrones, and lifted up the lowly; 53 he has filled the hungry with good things, and sent the rich away empty. 54 He has helped his servant Israel, in remembrance of his mercy, 55 according to the promise he made to our ancestors, to Abraham and to his descendants forever.” 56 And Mary remained with her about three months and then returned to her home. So much in life turns on a single moment. These turns are defining. People we meet, plans we make, can take us in a whole new direction. We play the game in my family occasionally reflecting on those turns. It’s a game of “what ifs.” A lot of the what-ifs are benign. Some of them aren’t. You know this game. In one way or another we all do it. Imagining whatever is happening in life differently because of the turns we make either voluntarily or because something happens to us. 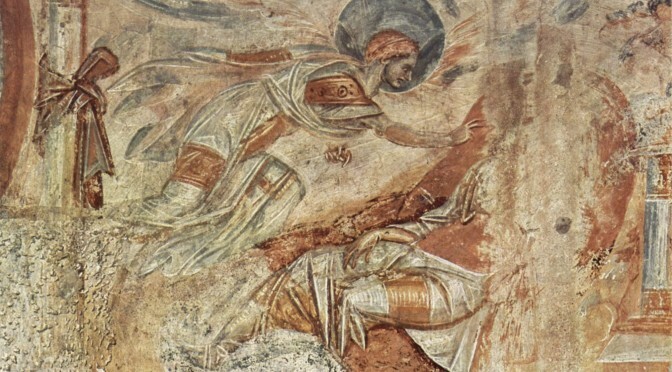 Gabriel announces that she is to have a holy child called “Son of God.” Mary receives and accepts the annunciation by saying, “Here am I, the servant of the Lord; let it be with me according to your word.” Then the angel leaves her. Mary’s life now takes a major turn. There is no going back to the way things were before. The what-ifs are futile. Right away, Mary turns and heads out the door. “In those days Mary set out and went with haste…” Why is she in a hurry? Why make haste? An easy answer might be that she’s excited. Gabriel told Mary that her relative Elizabeth is also pregnant. Mary could simply want to spend some time with her. But let’s imagine Mary’s situation more thoroughly. Regardless of her actual age, Mary is likely a very young woman. She’s newly engaged. In first century terms, she is as good as married. Now she’s unexpectedly pregnant. And she makes haste to Elizabeth. Gabriel told Mary not to be afraid but who wouldn’t be? I find that when the Bible pops up with the reassurance not to fear that there’s already something scary happening. Anyone would be afraid given the circumstances. It is no different here. Not only does an angel show up but Mary’s life is at risk. Whether it’s at risk because someone might hurt her due to her pregnancy or at risk because she could be turned out of her home with very few options. Mary’s life is at risk. She goes to Elizabeth. They greet. And Mary speaks. What follows as she speaks is significant theologically for two reasons. The first has to do with God’s purpose in Jesus. The second is what God brings to bear through Mary herself. In Jesus, God purpose extends to non-Jews the covenantal promises made long ago through Abraham. Mary says, “He has helped his servant Israel in remembrance of his mercy, according to the promise he made to our ancestors, to Abraham and to his descendants forever.” Culturally, there has been violence carried out against the Jews through the millennia. The violence has often been supported and instigated by Christians literally leading the march based on one interpretation of the crucifixion of Jesus. As Anne Lamott says — ‘You can safely assume you’ve created God in your own image when it turns out that God hates all the same people you do.’ Interpretation matters as the pages of the Bible turn. Mary’s words in the Magnificat create a pause in which to wonder about anti-Semitic violence supported by supersessionist Christian self-righteousness – a self-righteousness that would attempt to usurp God’s righteous eternal covenants. Genesis 21 gives a similar pause as we live alongside our cousins of faith in Islam. God’s blesses Ishmael who is Abraham’s son by Hagar. Ishmael is in the genealogy of Muhammed. God tells Hagar regarding Ishmael that, “I will make a great nation of him.” Once again, interpretation matters as the pages of the Bible turn. In the same Religion News article, Rabbi Joseph Soloveitchik, a 20th century Orthodox rabbi held in high esteem, was quoted as having said, “each faith community is unique and entitled to the integrity of its own positions, which are neither negotiable, nor able to be fully understood by people from other faith traditions.” I’m inclined to agree with Rabbi Soloveitchik. There are such things as religious commitments by way of faith. But Mary’s words about God who scatters the proud and brings down the powerful from their thrones might challenge us lest we get too high and mighty by way of our own opinion and interpretation. Mary praises God for calling her to be a God-bearer. She accepts God’s call at great risk to herself. 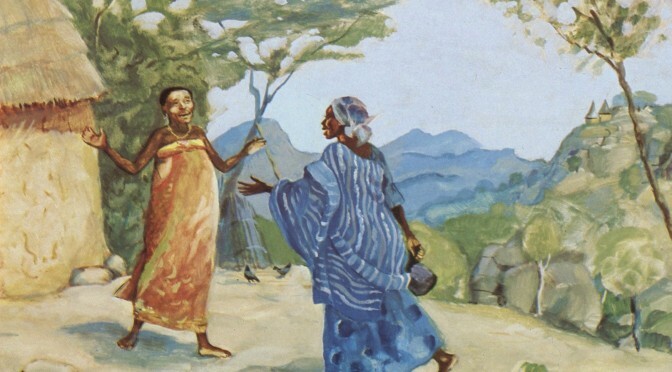 Mary turns toward the safety of Elizabeth and Zechariah’s home for a while. Not forever. The story tells us that she stays there about three months before returning to her home. The time comes to turn back the way she came. Advent Adventure was here a couple of weeks ago. Food, service project, and crafts filled the Fellowship Hall. I had the chance to tell a story. My goal was to keep the story short and focused. I learned my lesson after last year’s book time with kiddos was discombobulated by everything happening around us and the cookies inside of us. The kids and I talked about what makes an adventure. We talked about Mary’s Advent adventure and what makes an adventure – Star Wars being one example that came to mind easily for everyone. Story time was super fun although the word “adventure” doesn’t quite fit. It’s too romantic of a word for what she goes through on her own to Elizabeth’s home and then with Joseph to Bethlehem and, later, Egypt to escape Herod. Mary makes tough decisions, determined to live into what God is calling her toward. She protects herself and her pregnancy by turning toward Elizabeth and she returns home a few months later risking everything. By baptism, we are God-bearers along with our ancestor in the faith, Mary – the lowly servant and the blessed mother of Jesus. Like Mary we realize that faith often involves risk over safety. You see, as Christians, we do not live as people without hope. As Christians, we get to live as people of good courage as we are turned by God toward the people around us. Called by God into a life of faith, into this world that God so dearly loves, we turn toward God realizing that God is already turned toward us. 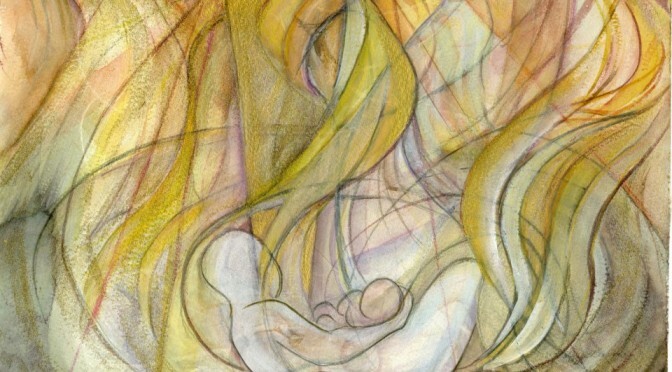 God turned to us in skin and solidarity by way of a blessed mother’s body through the power of the Holy Spirit for the sake of the world and for you – imperfections, gifts, and all. With Mary, our souls magnify the Lord and our spirits rejoice in God our Savior. For God so loves the world and God so loves you. Amen. Robert C. Tannehill. 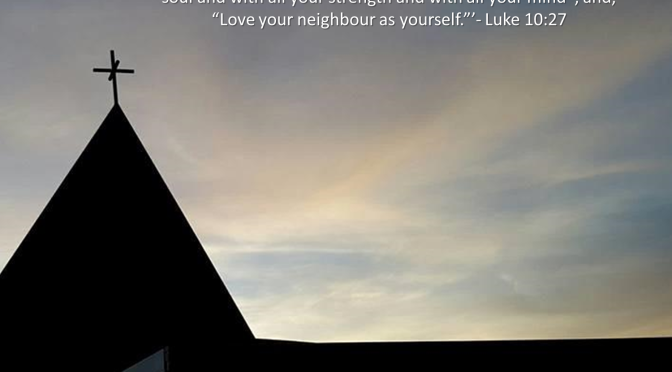 The Narrative Unity of Luke-Acts: A Literary Interpretation. (Philadelphia: Fortress Press, 1986), 20-32.
that you bring to the ones who wait.